Many years have come and gone since the days when the Buffalo Bills had the national spotlight. After four straight Super Bowl losses and the retirement of a hall of fame quarterback, running back, wide receiver, and defensive end, all dominant and transcendent players in their own right, the Buffalo Bills fell completely off the map. There were days when the likes of Doug Flutie and Terrell Owens stole a headline or two, but the past 20 years have been a quiet one for one of the NFL’s oldest and storied franchises. The last hall of fame member to leave the Bills was the one that was there first, Ralph Wilson Jr. With a city in turmoil, unsure of the future of its football team after the longtime owner passed, a man with a familiar face stepped in to save the Bills. Terry Pegula, owner of the other top professional sports team in Buffalo, the NHL’s Sabres, saved not only the Bills, but the city itself, when he bought the team for a staggering $1.1 billion and swore to keep the team in Buffalo. 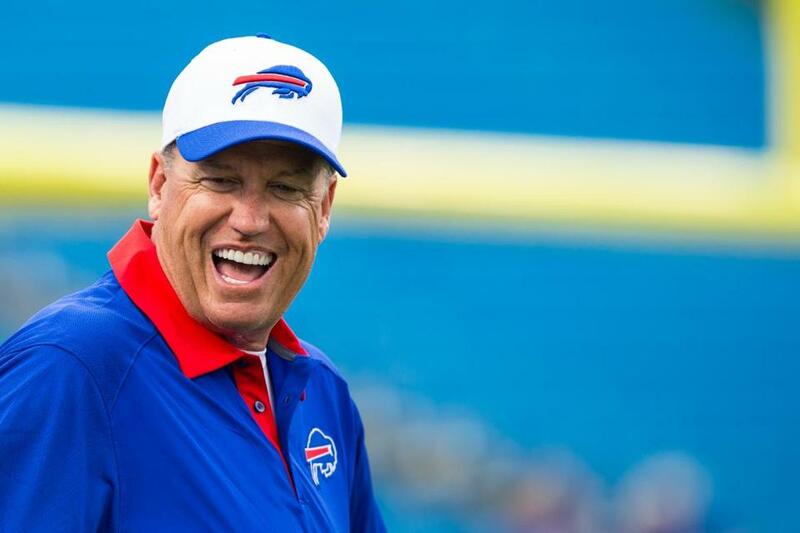 Now, another familiar face has joined the Bills, Head Coach Rex Ryan. Rex is a media darling. The popularity he brings outshines any free agent acquisition the Bills could make, and there were many. LeSean McCoy was traded to Buffalo for rookie linebacker sensation Kiko Alonso, who missed his entire second year due to injury. The Bills added explosive Percy Harvin who can make a highlight reel play at any time, assuming his health doesn’t prevent him from playing. They added Charles Clay, the most athletic player that has played Tight End for the Bills ever and the first time the position has been dangerous sense Pete Metzelaars. If that wasn’t enough to make national sports news, the Bills added a player that was thrown off the Dolphins due to a bullying incident. They also had an assistant coach punch a minor when he was on vacation. And when the Jets cut a linebacker for punching their starting quarterback in the face, breaking his jaw and causing him to miss half the season, who do you think was right there to welcome him to the team? The Bills have had more national attention in the past 20 weeks than they have in the previous 20 years. The Buffalo Bills are a daily soap opera that has built up so much anticipation and drama and they are about to move from their afternoon timeslot into prime time for everyone to see. There is no ignoring the fact that the Bills can grab a headline, but can they grab a division? The words echoing out of Bills fans mouths for years has been “I just want to make the playoffs” but are playoffs going to be good enough for this team? Loaded with talent, with a defense poised to be the best in the league, the Bills missing the playoffs would be a complete disaster. With the announcement that Tyrod Taylor would start the season as the starting quarterback, the Bills organization clearly has the feeling they are a Super Bowl contender. The decision to start Tylor over the veteran Cassel was made with the Lombardi Trophy in mind. Matt Cassel has a lower ceiling and although he is the “safer” option, his lack of mobility will undoubtedly cause sacks that lead to more punts and stress on the defense. Teams can win 13-10 games, but in January every team is good enough to score more than 13 on even the best of defenses. The Bills needed somebody who could put up points that Cassel would have left off the board. They needed a guy that could make something magical happen, and Taylor may be the magician they have been looking for. With an offensive coordinator that led Colin Kapernick to three straight NFC championship games and fell just short of completing a second half Superbowl comeback against the Ravens, the Bills find themselves in a position to have an offense that can score points and become a perfect match with the already dominant Buffalo defense. Excitement is in the air in Buffalo, this season feels different, looks different, and sounds different than the previous 20. For the first time ever there is a waiting list for Bills season tickets. Las Vegas has the odds of the Buffalo Bills to win the Super Bowl at a middle of the pack 45 to 1, but don’t expect the “just make the playoffs” talk to last much longer. The city of Buffalo is ready to “Billieve” and the magic feeling in the air doesn’t seem like it is going to die down any time soon.